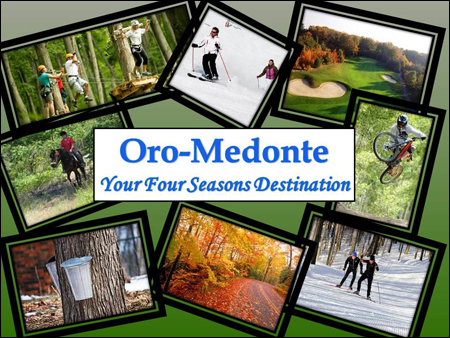 Oro-Medonte offers something for everyone! It’s a four season destination paradise that invites you to reclaim your sense of adventure, celebrate nature, surround yourself with a growing artisan community, and still find time to relax and rejuvenate. Only an hour from the hustle and bustle of Toronto, just north of Barrie, Oro-Medonte is an ideal destination for a weekend retreat, family vacation or a casual day trip. Here’s what it has to offer. 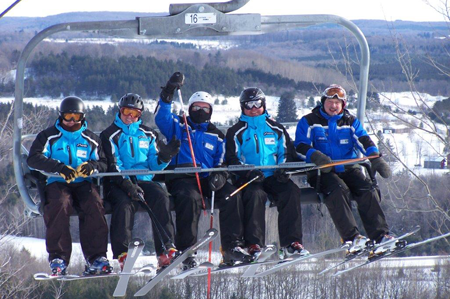 Hit the slopes for an action packed day at either Mount St. Louis Moonstone or Horseshoe Resort. Enjoy some of the finest cross country skiing at Hardwood Ski & Bike. Sign up for a dogsledding experience. Ride the groomed trails that await the snowmobile enthusiasts or try an organized adventure tour. Test your luck at ice fishing. Snowshoe the Copeland Forest. There is so much to experience, it can’t be done in just one day! 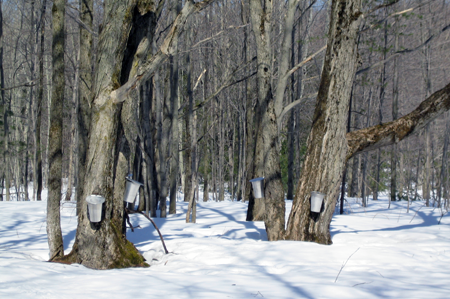 Visit a maple syrup producer, McMaple and Shaws and see sap turned into tasty maple syrup. Explore spring maple syrup events. Take advantage of fresh produce and shop at a local farm store. 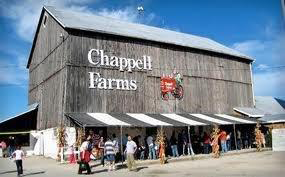 In the fall, enjoy hay rides, pumpkin patches, corn mazes, petting zoos and the ever popular Halloween haunt at Chappell Farms. Celebrate with us in September for the Oro World’s Fair. Discover exceptional art year round at a number of our local galleries. Discover a wide variety of local talent at Ridge West, Woodside pottery, David Beckett studio, Fred Hummel studio and JDN photography. 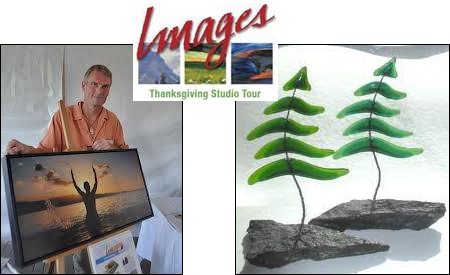 Be sure to take advantage of the beautiful fall colours during the Images Studio Tour over the Thanksgiving weekend. This artist-run, juried event is one of Ontario’s finest and longest running studio tours. Over thirty outstanding artists and crafts people will exhibit their work. You will meet painters, potters, sculptors, photographers, wood turners, plus jewellery and clothing designers – something for everyone. The Ganaraska Trail, with its hundreds of kilometres of trails, winds its way through Oro-Medonte providing year round activities for hiking, mountain biking, horseback riding, and snowshoeing. Oro-Medonte has their own club. 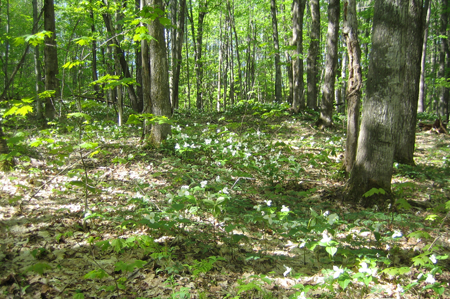 The Copeland Forest, a 4,000 hectare provincial reserve, offers a variety of hiking trails adorned with wild flowers in spring and breathtaking colours in the fall. Oro-Medonte has hundreds of kilometres of smooth hardtop for road cycle enthusiasts, a vast network of trails for mountain bikers, and the popular rail trail for those that want a more leisurely experience. As a cycle friendly destination, Oro-Medonte is producing a road cycling map which will identify 25, 50 and 100km routes with cycle friendly places to eat, visit and stay. With over 80 km. of trails of their own, Hardwood Ski & Bike has something for all skill levels. 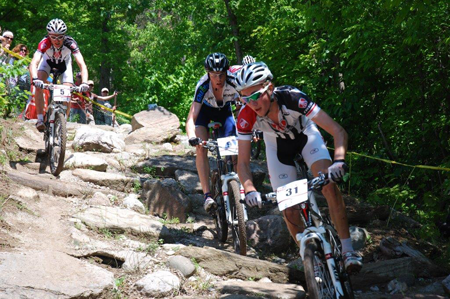 The Canadian XC Mountain Bike Championships have even taken place there. For those who wish to experience the thrill of downhill mountain biking, Horseshoe Resort will outfit you from head to toe. If you are looking for a cycle adventure package, check out Ride Guides (based near Carriage Ridge Resort) for mountain biking day or half day rides in the Copeland Forest, Forks in the Trail B&B for B&B cycle and stay tours, or Born to Ride for a variety of day experiences including a luxurious 7 day guided cycle tour. The Flavours of Ontario’s Lake Country offers visitors a chance to savour the diverse culinary delights of local restaurants. Held in the spring and again in the fall, patrons can enjoy a delicious three-course dinner from a set menu that our local chefs have created. 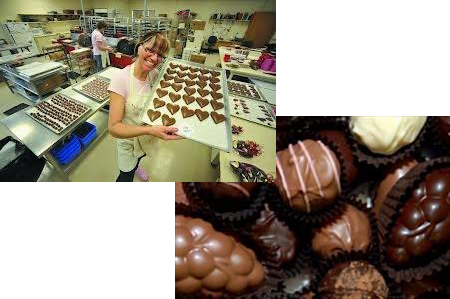 Chelsea Chocolates features the highest quality in chocolate creations. Tempt yourself with sumptuous truffles, delectable chocolate bark, or chocolates with delicious cream or wine fillings. 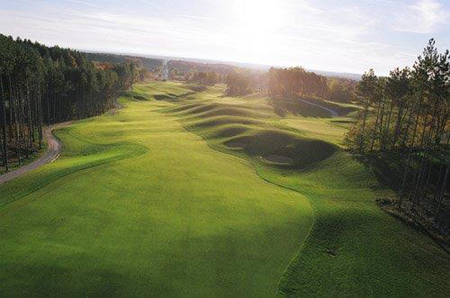 Oro-Medonte has seven golf courses. With luscious greens and picturesque views, there is a course to suit everyone’s ability from the beginner to the competitive golfer. 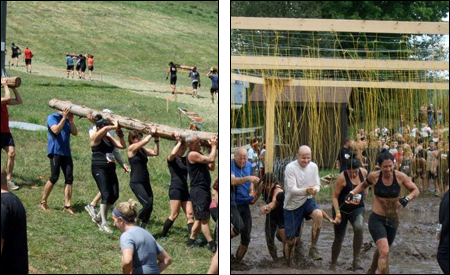 Oro-Medonte is home every year to a number of adventure races - Tough Mudder, Centurion Cycling, Spartan Race, Warrior Dash, and the CSRA Snowcross. Don’t miss the Barrie Automotive Flea Market hosted semi-annually by Burl’s Creek Family Event Park. The Barrie Automotive Flea Market recently received the distinction of being one of the Top 100 Festivals and Events in Ontario. Stay with us. Oro-Medonte has a wide variety of Bed and Breakfasts establishments. You can find them on the BBCanada website listed under Horseshoe Valley, Coldwater or Barrie. Each B&B has something special to offer to enhance your stay: from nutritional cooking classes, yoga instruction, weddings, massages, horseback riding, quilters' retreat and the list goes on. Let us help you to reconnect with a healthier more relaxed you, and make your stay a memorable one. Discover thousands of B & Bs across Canada with the new BBCanada.com iPhone app. Download yours today, free!